Around the Common: Help Paint Bridgewater Purple and Light Up the Town Common! Help Paint Bridgewater Purple and Light Up the Town Common! The Relay For Life of Greater Bridgewater Committee would like to invite caregivers, survivors, and participants of the Relay For Life to help with its “Paint the Town Purple” campaign. Starting May 16, volunteers are needed to help adorn purple ribbons and flyers around town and in storefronts. The goal is to spread awareness for this year’s Relay For Life of Greater Bridgewater, and its message of hope. On May 30th, residents of Bridgewater and the surrounding area are invited to Light the Common, a mini Luminaria ceremony. Luminaria is an event during the Relay For Life where participants remember people lost to cancer, honor people who have fought cancer in the past, and support those whose fight continues. Candles are lit inside personalized bags and are placed around the Relay track as glowing tributes. The same will be done around the Bridgewater Common on May 30th. The Relay For Life of Greater Bridgewater is a community event bringing together teams of families, friends, religious groups, neighborhoods, and businesses, all with the goal of celebrating progress in the fight against cancer, remembering those lost to cancer, and helping fund research for the future. Residents from all surrounding towns are also encouraged to attend. The event starts on June 12 at Bridgewater Raynham Regional High School. 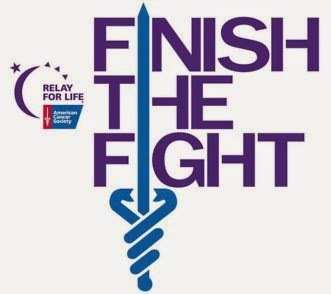 For more information about joining the Relay For Life of Greater Bridgewater contact Monica Querzoli at maquerzoli@comcast.net, or contact the American Cancer Society at 1-800-ACS-2345 or online at www.cancer.org.